• In cooler climates, foot growth slows down. Thus, trimming happens less often. • Warmer weather causes the foot to grow normally, and therefore requires trimming and maintenance more regularly. • Changes in the environment, such as wet-to dry, in a short amount of time can cause chipping and cracking, and the shoe size may change. • A cold and wet environment can cause thrush, bacterial infection that lives in the soft tissue of the frog, to run rampant through the barn and cause irritation in a horse’s foot. • Like a sponge, the foot of a horse can also become soft and saturated when the ground is wet, and may need extra monitoring to assure that horse shoes fit correctly or that the feet are being cleaned out regularly. 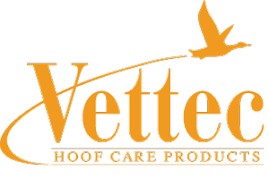 • It’s critical that a hoof care professional examines the hooves regularly and when weather change occurs. • Apply pour-in pads to provide support, and avoid infection and injury. • Utilize pour-in pads to distribute a horse’s weight evenly across the entire hoof bottom.